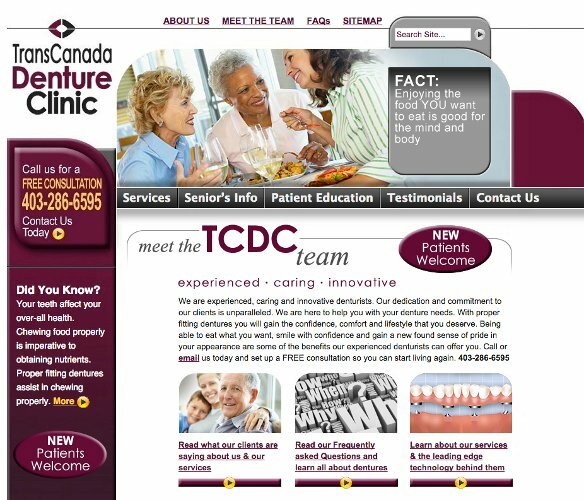 TransCanada Denture Clinic required a website build for their new firm. The project was implemented in association with BluBrown Communications . 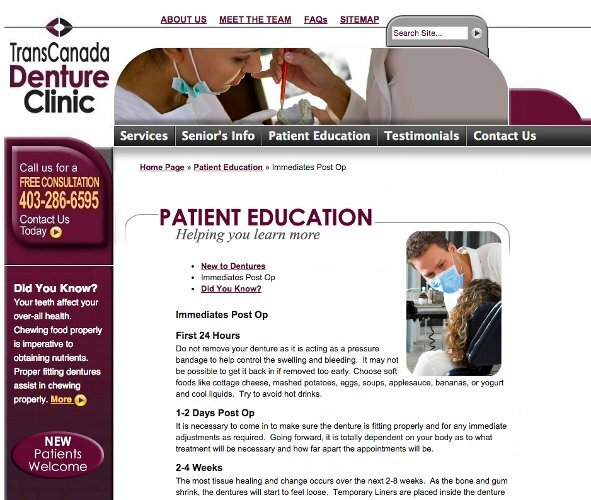 This site uses the WordPress CMS, and is hosted by Netfocus Consulting.